Buick’s current Enclave crossover isn’t the most attractive vehicle in the class. Moreover, it probably features one of the most conservative designs at the moment. Still, this might change with the arrival of the completely redesigned, 2018 Buick Enclave, which is coming very soon. According to the manufacturer, Buick’s next-generation mid-size luxury SUV will make the official debut at the upcoming 2017 New York Auto Show. They also released a single teaser sketch that doesn’t reveal much but promises some radical changes. Based on the teaser, the 2018 Enclave will receive a pair of new LED headlights and totally redesigned grille. We can’t see the complete picture here, yet it appears that the hood sports more dynamic lines as well. 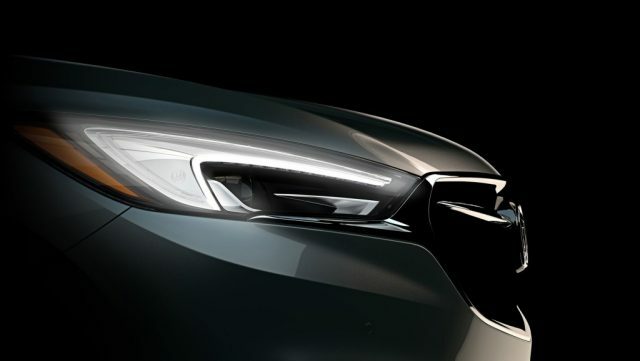 The grille will be redesigned of course, but it will keep Buick’s signature waterfall cues. 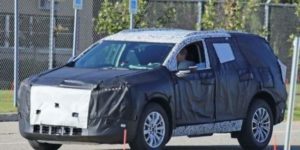 The sketch doesn’t provide any further information about the upcoming crossover, yet we managed to catch several testing models, which reveal the rest of the bodywork. 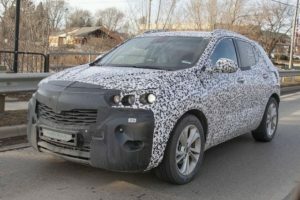 Judging by the spy shots, the new generation Buick Enclave will look a lot sportier and attractive. Some rumors suggest that the SUV might receive Avenir’s treatment around back. If this turns out to be the truth, then the rear hatch could get very smooth lines and really slim taillights. We haven’t seen the cabin of the new generation Enclave, but in case Buick wants to succeed with the SUV, they need to make it highly luxurious inside. This is why we expect only high-quality materials and the latest technology achievements. Of course, the producer won’t skip the chance to add Buick’s newest advanced safety feature. The 2018 Buick Enclave will stay tight with Chevrolet’s Traverse crossover. These two and the new GMC Acadia will share the same architecture, yet in contrast to the Acadia that’s shortened a little bit, Buick’s mid-sizer will stay pretty much the same. The C1XX platform will make it lighter and more rigid and will host new options under the hood. Yes, the redesigned crossover will get a turbocharged inline-4, which should be capable of producing 255 horsepower and 295 lb-ft of twist. The SUV will keep its 3.6-liter V6 mill as well. According to our information, the engine will deliver 281horsepwoer. A 9-speed automatic will be standard for both engines, but you will be able to choose between front- and all-wheel drive. Like we said, the next generation Buick Enclave will be introduced at the auto show in Big Apple on April 11. The price should stay around $40,000.